There were, however, other arguments as well. In all of the judgments, for example, we find references to how the constitutional meaning is not fixed or static at its point of origin, but must evolve with time; or, in other words, the Constitution is a “living document.” This argument was fleshed out in the greatest detail in Justice Kaul’s opinion, in a full section titled “The Constitution of India – A Living Document” (paras 23 – 49). Justice Kaul argued that the Constitution must be continuously updated to keep up with the times, and that it has certain “core values” that “manifest themselves differently in different ages, situations and conditions.” (para 40) The values themselves were derived from the Preamble, with dignity given pride of place. The arguments against the living constitutionalism approach to constitutional interpretation are well-known, and need not be rehearsed here. What is disappointing about Puttaswamy is that (with a couple of exceptions that I shall come to), the judges did not address them at all. In one paragraph, Justice Kaul pointed out that the framers themselves were aware of changing realities, and consequently, faithfulness towards their “original intent” would itself require a dynamic and innovative approach to constitutional interpretation (para 31). That is not enough, however: one cannot simply argue that the Constitution should be interpreted dynamically, and stop at that. There must be standards that guide this organic interpretation, standards that go beyond invocations judicial wisdom. The Preamble itself, with its broad principles, underdetermines this enquiry. From time to time, the judgments referred to the freedom struggle (paragraphs 111 and 115, Chandrachud J; paragraph 18, Chelameswar J), but once again, there was little discussion on what, precisely, was the connection between the freedom movement, and the interpretation of the Constitution. The problem is quite simply this: we may agree that the Constitution lives and grows, but in which direction ought it to grow, at what pace? How do we know what is “organic growth”? To simply say that the Constitution adapts and evolves with the times, and that judges are charged with updating it, is not enough (what if, for example, the change in social attitudes is towards the contraction of rights instead of their expansion?). There needs to be an interpretive approach that is grounded in the constitutional text, its structure, its history, and the social and political circumstances in which it was drafted, and the broad problems that it was designed to respond to. This is crucial, because it acknowledges that no credible interpretation of the Constitution can afford to ignore its text. Issues of structure, purpose, political ethos, and framework values must supplement the text, but they cannot supplant it (readers will recognise a broad similarity with Dworkin’s approach of “law as integrity” here). Judicial discretion is, of course, a central part of the interpretive exercise, but that discretion must be shaped by the constitutional text, structure, history, and overall purposes. It cannot simply reflect a judge’s view of how the Constitution is to be updated with the changing times, within the over-broad framework of the Preamble. Both the plurality and Justice Nariman expressly overruled the notorious judgment of the Supreme Court in ADM Jabalpur vs Shivakant Shukla. Recall that in ADM Jabalpur, the Court had upheld the suspension of habeas corpus during a proclamation of Emergency, on the basis – among other things – that the source of rights was confined to the four corners of the Constitution itself – and given that the Constitution itself authorised their suspension in an Emergency, there was no basis on which detainees could move Court and claim any rights. In Puttaswamy, a majority overruled ADM Jabalpur on this specific point, and held that there were certain rights that could be called “natural rights”, inhering in people simply by virtue of their being human. The Constitution did not create such rights, but only recognised them. Variants of this statement were repeated at various points in his judgment, and in paragraph 119, ADM Jabalpur was overruled on this ground. But if privacy is a “natural right” whose existence is only recognised by the Constitution, then two questions arise, neither of which (in my view) were answered satisfactorily by the bench. The first is: how do you determine the content of natural rights? In the history of natural law theorising, at one point, the doctrines of the church were believed to be the source of natural rights; at another point, human reason replaced canon law; Justice Bobde referred to “universal moral agreement”; and Justice Nariman invoked international law (in particular, the Universal Declaration of Human Rights). In my view, however, if the judgments were going to take the significant step of overruling ADM Jabalpur, and unequivocally stating that the source of (at least a few) fundamental rights is natural law, then it was incumbent upon them to develop at least the basics of an interpretive approach towards identifying the content of natural law. We face here the same problem as we did with the living constitutionalism approach: ultimately, without clear standards, there is too much power in the hands of the judges. Today, liberal judges may seek to expand rights by incorporating a “natural right” to privacy, that predates and pre-exists the Constitution; but what is to stop a judge, in the future, from invoking his own conception of natural rights (or, for that matter, natural duties) to contract liberty? 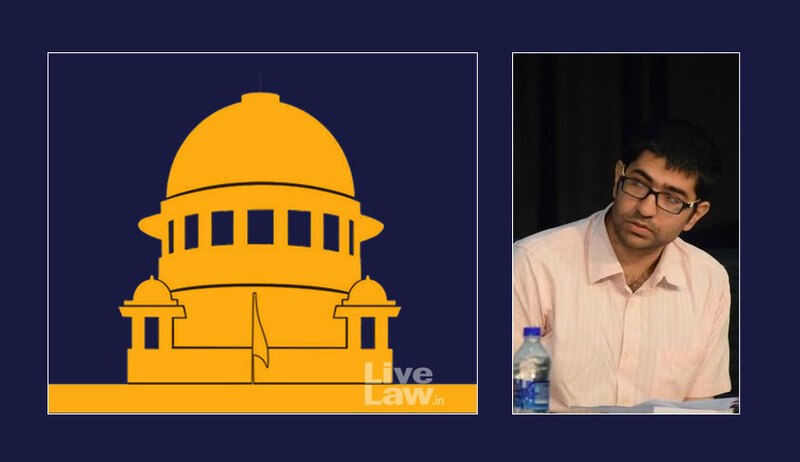 Consequently, on the issue of whether natural rights, which pre-date the Constitution, are the sources of fundamental rights, the Court was not unanimous; rather, it split 8 – 1, with Chelameswar J the lone dissent. This, however, raises another question: what if, tomorrow, a fresh constitutional convention was called, the Constitution replaced, and a new Constitution brought in to substitute it? What if that Constitution (for example) expressly stated that privacy was not a fundamental right, or expressly espoused an hierarchical, anti-egalitarian ordering of society? Would the natural rights continue to exist and be enforced by the Court, notwithstanding the terms of the new Constitution? On the majority’s view, the answer would have to be yes. Perhaps, though, if things came to that, we’d all have more pressing worries. Puttaswamy advanced two important theoretical propositions about constitutional law. The first was the doctrine of living constitutionalism, and the second was the endorsement of natural rights. I have my reservations about both propositions, but in this essay, my point has been that they needed a substantially stronger defence than what we find in Puttaswamy. That task, perhaps, is now left to future benches.